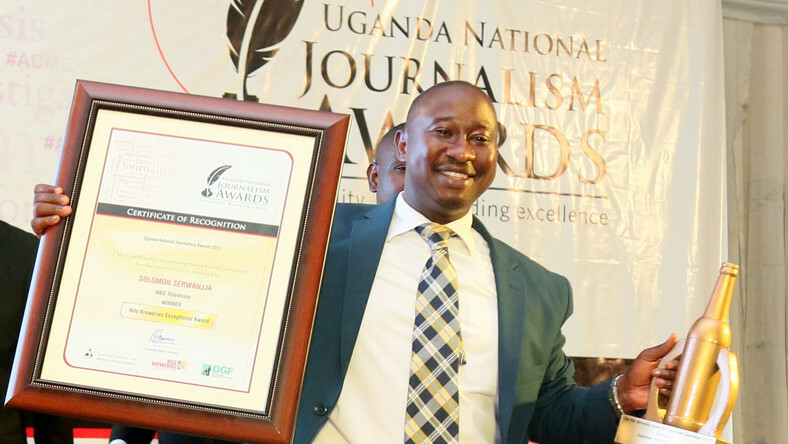 KAMPALA – Uganda Police are continuing their search for NBS Television’s senior investigative reporter and anchor, Solomon Sserwanjja, hours after his wife Vivian Naliika was arrested alongside two BBC Africa journalists, a cameraman and a driver. In a brief statement issued on social media, NBS Television says Sserwanjja was working on a joint investigative report with the team from the BBC, a media partner with NBS Television. NBS adds that those arrested remain at the Kampala Central Police Station while efforts to secure their release continue. On contrary, Police spokesperson Fred Enanga in a statement issued Thursday afternoon said the Wednesday night raid at Sserwanjja’s home in Mukono aimed at retrieving government drugs allegedly at his home. Enanga claims 14 boxes of government drugs were discovered at the journalist’s home during a police search. “We want Sserwanjja to help us with our investigation of how government drugs ended up at his home,” he said. Kampala Metropolitan Area spokesperson, Patrick Onyanga had earlier confirmed that police has in custody five suspects on charges of illegal possession of classified drugs contrary to section 27(2) of the National Drug Authority cap 206.